This article highlights practices that address the development of approaches to learning skills—communication and social—in a series of lessons. In our school context EAL (English as an additional language) refers to students who require support with the school’s language of instruction. We determine whether students need support in two ways. The first is through an exam called the W-APT. This exam measures a students listening, speaking, reading and writing proficiency at grade level. The second way we determine if EAL support is required is through observation. Students are pulled out of class for EAL lessons and the EAL teacher also pushes in to support the students’ learning. According to the IBO (2008), language development is a process of constructing meaning in which there are three phases: learning language, learning through language and learning about language. Cummings (1979) speaks of two phases of language development: basic interpersonal communicative skills (BICS) and cognitive academic language proficiency (CALP). BICS is the social language a child needs to communicate with his/her peers and teachers. Students may function at this level within two years, in their second language. CALP is the phase when learning through language is taking place. Attaining this level can take up to seven years. It is the goal of goal of our EAL department to help our students reach the BICS stage as quickly as possible so they can communicate in the classroom. The lessons in question focused on the two social skills of group decision-making and cooperation. They also focused on the communication skills of listening and writing. At the start of the lessons the students were asked what they wondered about. All of these wonderings were pasted on our class wonder wall (see photo below). This is a living area of the classroom that changes regularly. According to Vygotsky (1978), in order for learners to move into a zone of proximal development where new learning can take place, prior knowledge needs to be taken into consideration. I have found that the wonder wall is a good way to determine students’ prior knowledge as well as determine their interests in order to motivate learning. After deciding on the theme of the story students continued to use their group decision-making skills and their writing skills to plan their storyboard. 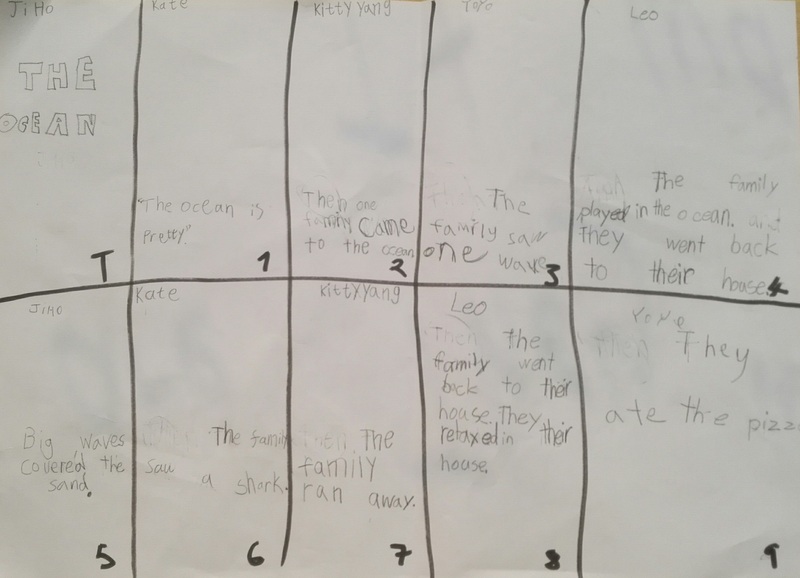 A sample of a storyboard the students made for a story about the ocean may be seen below. It is encouraging to see them working in groups, using their communication and social skills, supporting each other to write the text. Finally a template was given to the students with space for a picture and with lines to write on. The students were supported to create a correct sentence and then draw a picture. After they had finished we traced the text and pictures with a black felt tip pen. The pages are then photocopied and bound. We read the finished book twice or three times in each lesson. This way students who may not be reading yet have the chance to learn the words off by heart and experience success when they take the book home to read. By teaching the above-mentioned approaches to learning skills in this manner students can be scaffolded to not only learn in the BICS area but also in the CALP area of learning about language. Students can be introduced to various linguistic genres such as narrative or argument at an early stage of their language development. By creating the books collaboratively I have found that students learn to cooperate and communicate. Parents have reiterated that students have brought the books home and read them confidently. Some students have also described the production process to their parents in their mother tongue. Cummins, J. 1979. “Cognitive/academic language proficiency, linguistic interdependence, the optimum age question and some other matters”. Working Papers on Bilingualism. Number 19. Pp 121–129. International Baccalaureate Organization. 2008. “Learning in a language other than mother tongue in IB programmes”. Cardiff. Pp 4-5.
International Baccalaureate Organization. 2014. “Language and learning in IB programmes”. Cardiff. Vygotsky, LS. 1978. Mind in Society: The Development of higher psychological processes. Cambridge, Massachusetts. Harvard University Press. 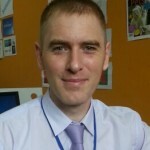 Brian has started his new role as PYP Coordinator at Xi’an Hi-Tech International School last August. He has been attempting to follow in his mother’s footsteps for 13 years now. He has been teaching internationally for that time while his mum taught for 42 years. 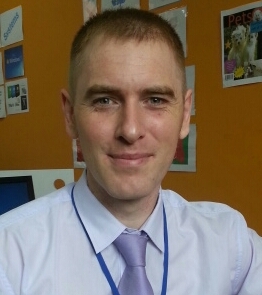 He wrote his Masters thesis on Professional Learning Communities and has both presented at educational conferences and published papers on that topic. Brian very much appreciates connecting with and learning from his peers. Follow Brian on Twitter @brianlalor. Thanks for sharing this Brian. 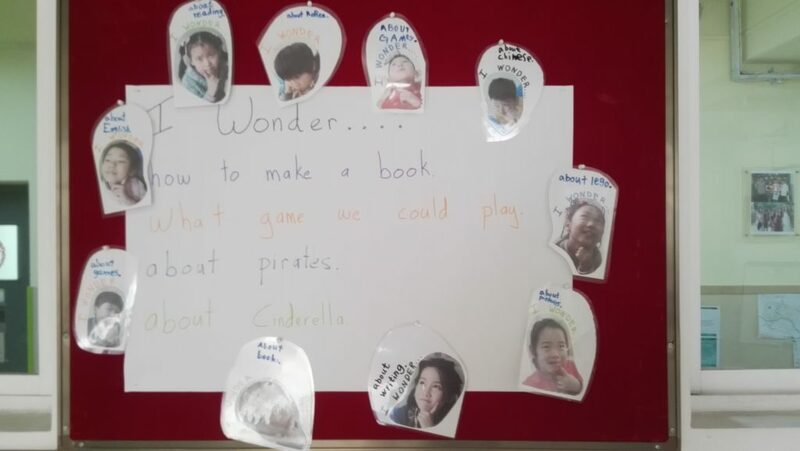 Love the idea of creating the book collaboratively, given me an idea for our units this year. Very interesting the way Brian lead his students to begin using their communicative skills and social ones too.